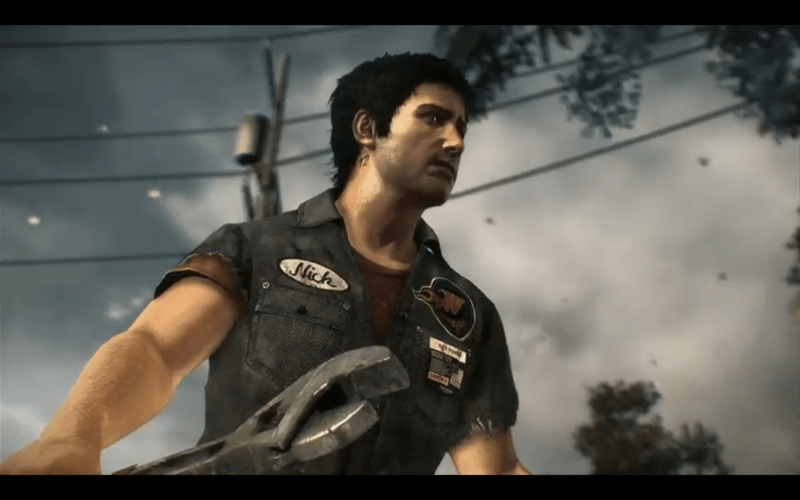 Capcom Vancouver released some details at Microsoft’s E3 2013 press conference about their open-world survival horror game Dead Rising 3, to be published by Microsoft Studios exclusively for the Xbox One. There have been many updates since Dead Rising 2, such as improved graphics, more ways to distract zombies, more vehicles, and a wider array of weapons and combinations to use. The physics for the game have also been updated. For example, in the gameplay demo, the character began reacting with the wall when he smashed through it and similarly reacted to the explosions that ensued after he called in artillery. Speaking of which, using Microsoft SmartGlass, you can call in backup, such as having bombs dropped on a horde of zombies. A new weapon-crafting system was revealed, as well. Instead of going to a workbench as in previous games, there is now a new mid-game menu that allows you to create new weapons. They did not announce a specific release date for Dead Rising 3, but did announce the game would be released in the 2013 holiday season.